The Center for Excellence in Finance (CEF) is an international organization with the mission to support capacity development for finance officials in South East Europe (SEE) through learning. The areas included in CEF’s work are public financial management, tax policy and administration, and central banking reform efforts. The CEF, a GIFT partner since early 2018, has been devoting increasing attention recently to transparency and citizen engagement. The GIFT Network Director was invited to be part of the CEF’s Advisory Board and Partners Meeting to identify complementarities in objectives, priorities and activities for potential collaboration in the areas of fiscal transparency and public participation in the SEE region. 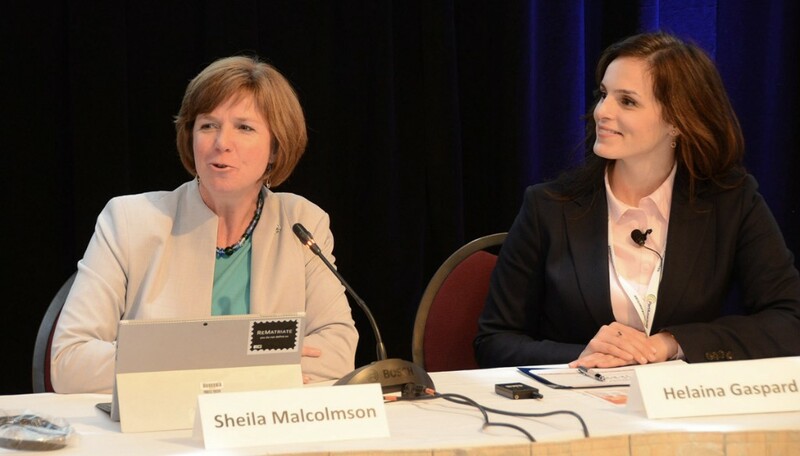 Check out the Meeting’s report here. 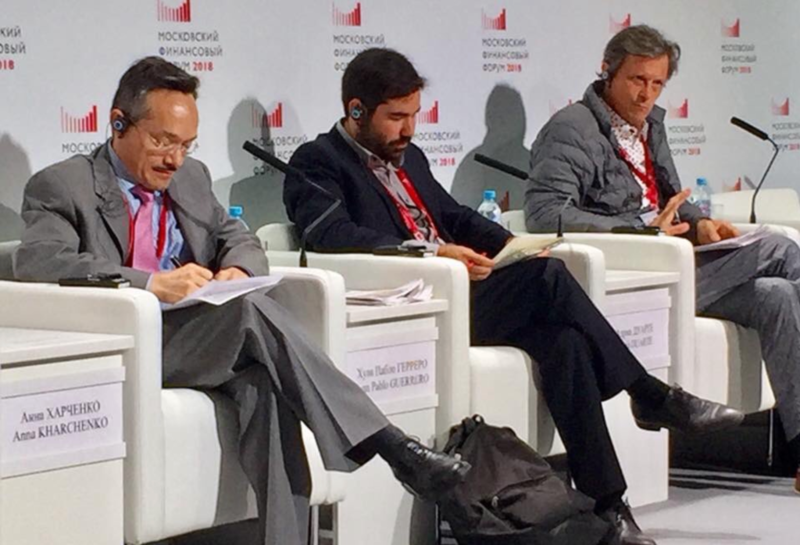 The Moscow Financial Forum is a platform for the professional discussion of Russia's financial policy. The mission of the Forum is to search for solutions that will make the Russian economy more competitive. 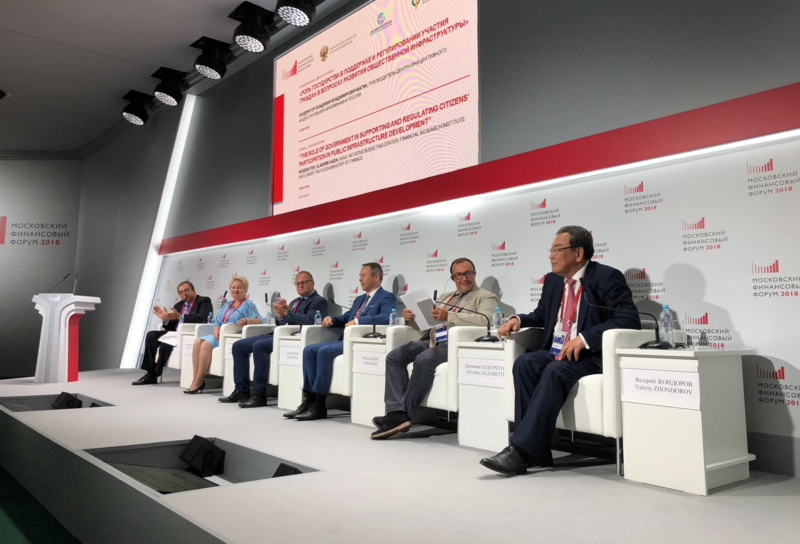 In its third annual edition, the Moscow Financial Forum included discussions on the Russian experience in the field of participatory budgeting (PB). GIFT Network Director participated in a workshop hosted by the Russian Ministry of Finance with World Bank, international and local PB experts, such as Giovanni Allegretti, Nelson Dias, Josh Lerner and Yves Cabannes, who shared experiences from Italy, Portugal, the USA and Brazil, on innovative and effective ways to engage vulnerable communities in participatory budgeting. As part of a multiyear collaboration, Juan Pablo Guerrero, GIFT Network Director, participated in the Parlamerica’s Plenary Assembly. 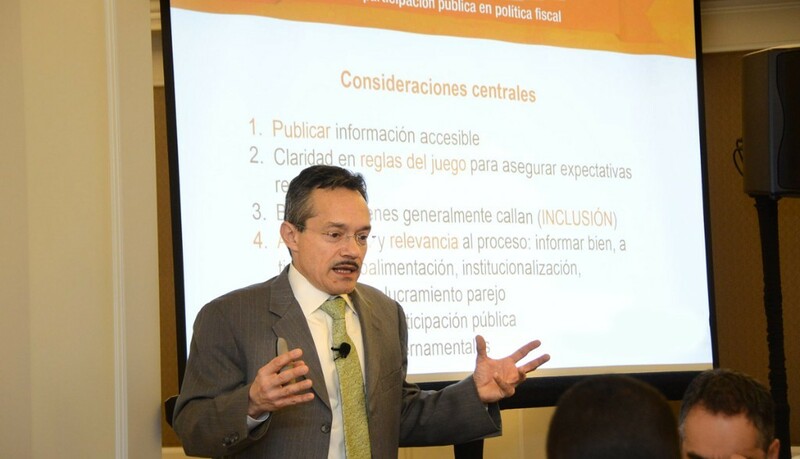 He led the Parliamentary Budget Consultations Workshop, where Parliamentarians from Canada, Ecuador and Peru shared their experiences in a conversation about how to effectively include the public in the budget discussions taking place in parliament and the mechanisms that can be used. In finalizing the workshop, participants discussed next steps to promote and strengthen public participation in budget and fiscal policy discussions in the Legislative. Moreover, at this meeting, Parlamericas launched a new resource to promote openness, the Open Parliament Tools for Parliamentarians in the Americas and the Caribbean. This portal includes a rich section on Opportunities for Citizen Participation in the Budgetary Process, which includes materials such as an Overview of the Budgetary Process, Fiscal Ecosystem, Pre-Budget Consultations, Consultations to Inform the Budget Debate, and Participatory Budgeting. Parlamericas is calling for the submission of good practices! 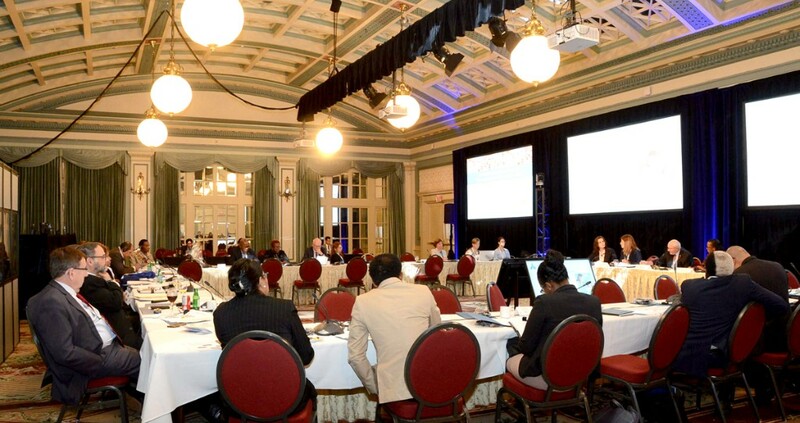 The Global Public Procurement Conference. Towards the Digital Frontier in Washington D.C. 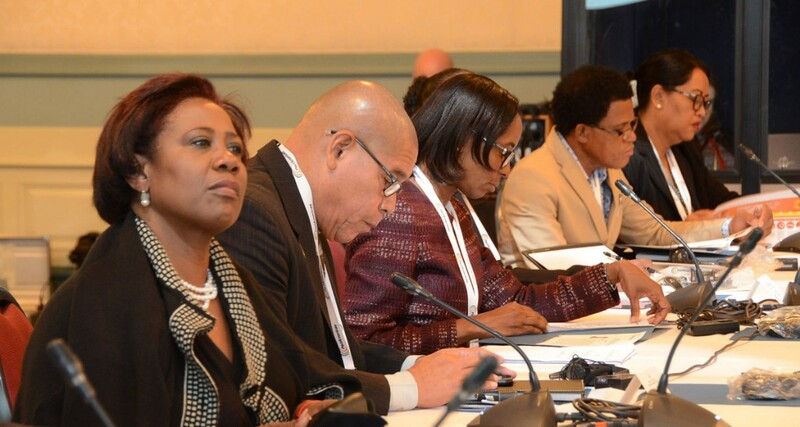 The Global Public Procurement Conference was hosted by the Inter-American Development Bank in partnership with the African Development Bank, Asian Development Bank, Caribbean Development Bank, Inter-American Network on Government Procurement, International Development Research Center, Organization of American States, Open Contract Partnership and World Bank Group. GIFT Network Director attended the conference, which provided a forum for the discussion and dissemination of technological advances in government procurement where key players from around the world shared best practices about the latest trends on how technology is helping leverage public procurement as a development tool in the different regions. At the International Open Data Conference (IODC), which brings the global open data community together in order to learn, share, plan, and collaborate on the future of open data, GIFT is participating in the conversations on how to connect the use of open data in different parts of the fiscal governance system. Collaboration should include all relevant open data related initiatives, such as the Open Fiscal Data Package, Open Contracting Data Standard, the Extractive Industries Transparency Initiative (EITI), Construction Sector Transparency Initiative (CoST), and others. The Latin American Open Data Initiative (ILDA), a GIFT Steward, has concluded a very important process of institutional consolidation that includes the creation of a legal organization and the formalization of its procedures, operations and projects. Founded by Fabrizio Scrollini, a legend on open data with social purpose at global level, ILDA has hired a new director of operations, Ana Sofía Ruiz, and has put together an advisory group with three members: Gonzalo Iglesias, Lucía Abelenda and Juan Pablo Guerrero. ILDA has explored cases of open data use, helped build new initiatives centered on the public interest and inclusion, collaborated in the creation of public policies and acted as a meeting place for multiple actors. One of its main achievements is related to assisting in holding Abrelatam and ConDatos, which this year will be held in Buenos Aires around the International Open Data Conference. The official launch of the Latin American Open Data Initiative (ILDA) as an international non-profit organization took place on September 27 in the City of Buenos Aires. 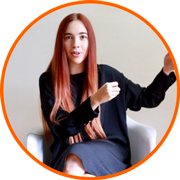 Lorena is an economist and holds an MSc-LLM in Law and Economics from the Hamburg University, the Bologna University and the Indira Gandhi Institute for Development Research. As a Public Financial Management expert, she has worked in improving government performance, opening government and combating corruption, from government positions and as international consultant. As General Director of Performance Monitoring and Information Analysis in the Ministry of Finance and Public Credit in Mexico, she oversaw the implementation and monitoring of indicators of the Performance Evaluation System, monitoring of subnational transfers and the fiscal transparency policies. During her tenure at the Ministry, she coordinated the work that led to the increase of the Mexican score of the Open Budget index, from 52 in 2010 to 79 points over 100 in 2017. That year, Mexico obtained the 6th position of the ranking, moving up from the 38th position in 2010. At Hacienda, she was also in charge of the Fiscal Transparency Portal, which houses more than ten transparency platforms. The Portal includes disclosure of all federal budget information in open data (Open Fiscal Data Package), the Open Contracting Data Standard, and additional tools such as government performance indicators and natural disasters relieve funds. Her interest in the use of technology for government openness led to the implementation of public participation initiatives using mobile devices and open data, and more recently to the implementation of Artificial Intelligence to facilitate government-citizen communication. All is ready for GIFT’s General Stewards Meeting and the Learning Visit on Public Participation in Portugal and Joint BLTWG-GIFT Workshop in Cascais, Portugal! The 2018 GIFT General Stewards Meeting will take place in Cascais, a Portuguese municipality that was recognized by GIFT in 2017 for its outstanding experience on participatory budgets. The Municipality has kindly opened its doors to host the GIFT stewards meeting. The occasion will include a field visit to learn more about the participatory budget experience in Portugal at the National level (a participatory budget is a process in which community members directly decide how to spend part of a budget, enabling taxpayers to work with governments to make the budget decisions that affect their lives). A significant part of the agenda will be therefore devoted to citizens engagement in the budget process, with experiences shared from the local and national levels. We will also dedicate special attention to the IBP proposal to pilot public participation mechanisms in some of the GIFT steward countries. This initiative was discussed in Brasilia in June (during the Fiscal Transparency portals workshop), where some stewards expressed interest in continuing the conversation about joining IBP and GIFT in the pilots. In few words, the proposal is to deepen our work of enhancing public participation in fiscal policies. The October GIFT meeting is being organized in coordination with the PEMPAL (World Bank Public Expenditure Management Peer-Assisted Learning) network, a multilateral effort to develop capacity and share reform experiences among countries in Central Asia and Central and Eastern Europe, a group of finance representatives with whom GIFT has been working closely for over two years. This will give the PEMPAL and GIFTnetworks the opportunity to learn from each other and to strengthen the cooperation, as countries are making efforts in promoting public participation in the budget process. You can see the meeting’s program here. 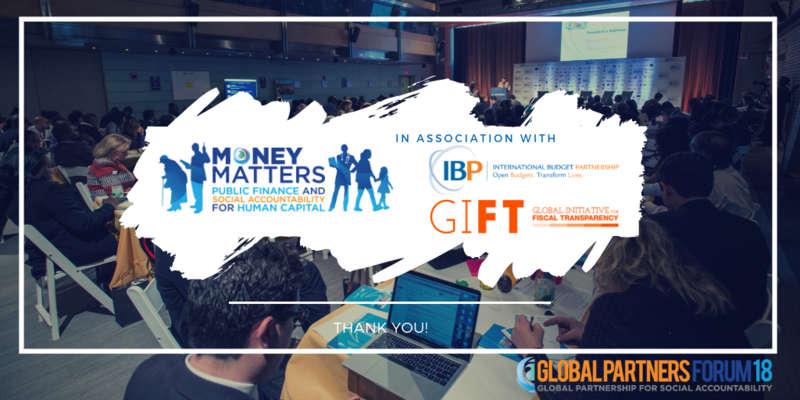 A big happening coming up in Washington DC on October 30 - November 1… The GPSA 2018 Global Partners Forum, in association with the International Budget Partnership and the GIFT Network! Spending data is, in most cases, the basis for a fiscal policy analysis and starting point to connect other relevant data, such as procurement or performance. In this webinar, Open Knowledge International’s (OKI) Fiscal Transparency lead Sander van der Waal presents the Open Fiscal Data Package specification version 1 and the OpenSpending toolset. For the last three years, GIFT and OKI have partnered to develop a tool that makes it easy for governments to publish budget data for anyone to view, visualize and integrate. Building on OKI’s OpenSpending platform and involving also the BOOST World Bank initiative and a dedicated open data community (most prominently the Mexican Ministry of Finance, who adopted Fiscal Data Package to be used for publishing their official budget data in 2016), GIFT and OKI have worked together to have governments benefiting from the tool, piloting it and publishing fiscal information in open formats. Through this partnership, OKI has developed the Open Fiscal Data Package standard. Its version 1.0 is now available! Watch this webinar to learn how it works. Recently, The Engine Room launched a call searching for new Matchbox partnerships in Latin America and Sub Saharan Africa. Through these partnerships, Matchbox support 2 organizations per region during 12-18 months, as they design and implement their project that seeks to improve a political or social problem. Organizations will receive support in capacity building and in integrating data, tech, and design into their work. You may be interested in applying! Teams that are changing their social and political environments for the better. Sectors could include anything from transparency, accountability, and anti-corruption to human rights. Teams that are hungry to learn and eager to improve the way they work to better accomplish their mission - from improving project design to more strategically applying data and tech. Teams that are based in the region, who deeply understand the problem they’re trying to solve, who are connected to those affected by it, and who are optimistic yet realistic.